vacation | mrs. and the misc. 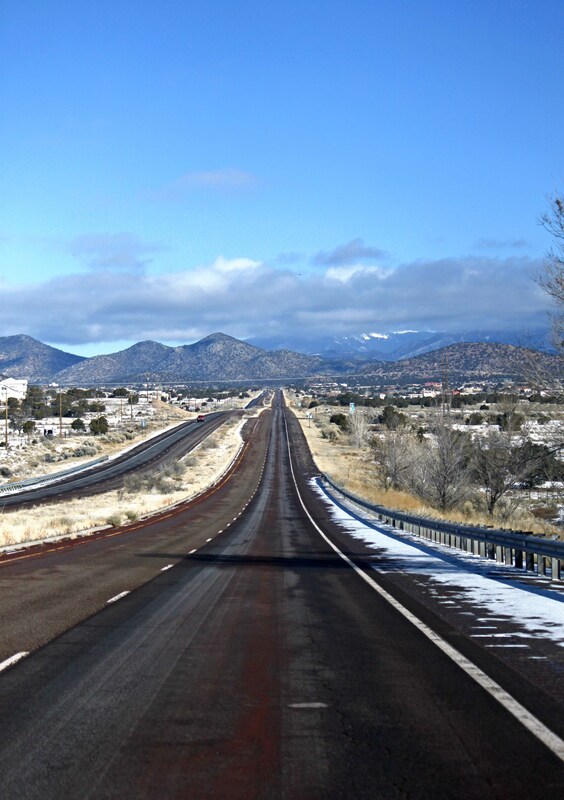 Always up for an adventure, when my husband mentioned New Mexico for New Year’s Eve, I was packed in an hour. 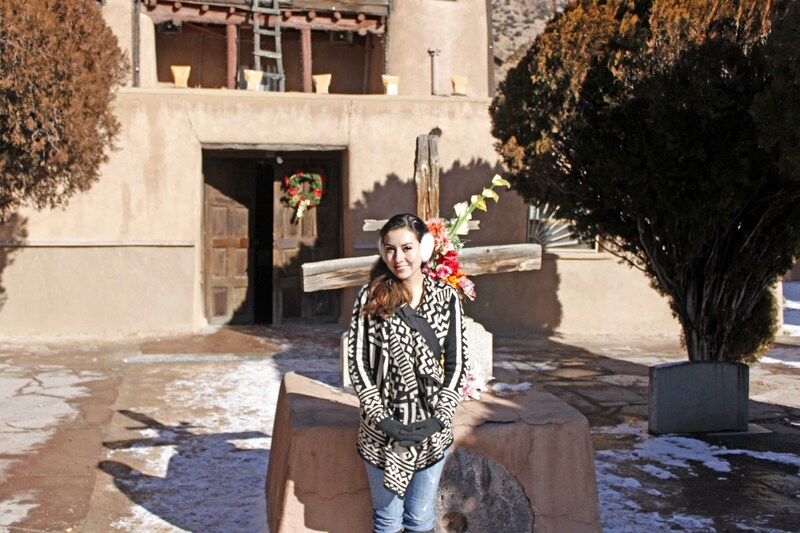 As it was last minute, I hastily researched where to stay, and it was decided: Chimayo, New Mexico. 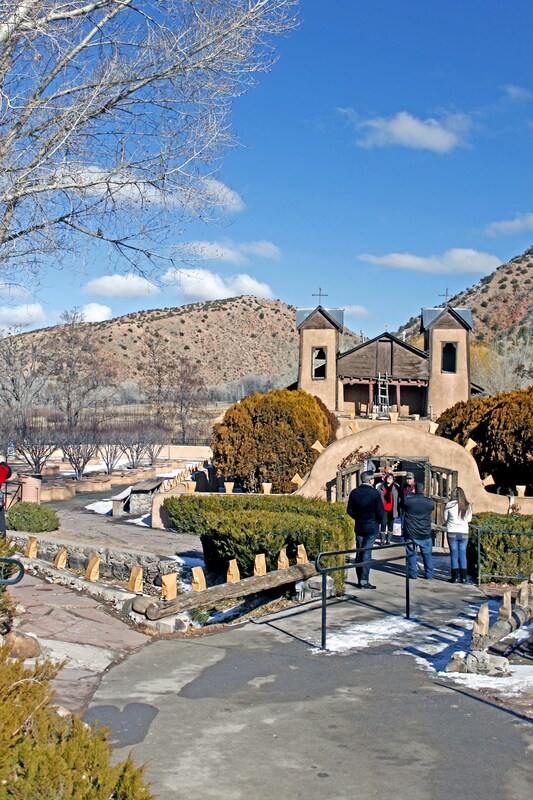 Chimayo, a great location between Taos and Santa Fe, is relatively small and can be driven through in about 10 minutes. 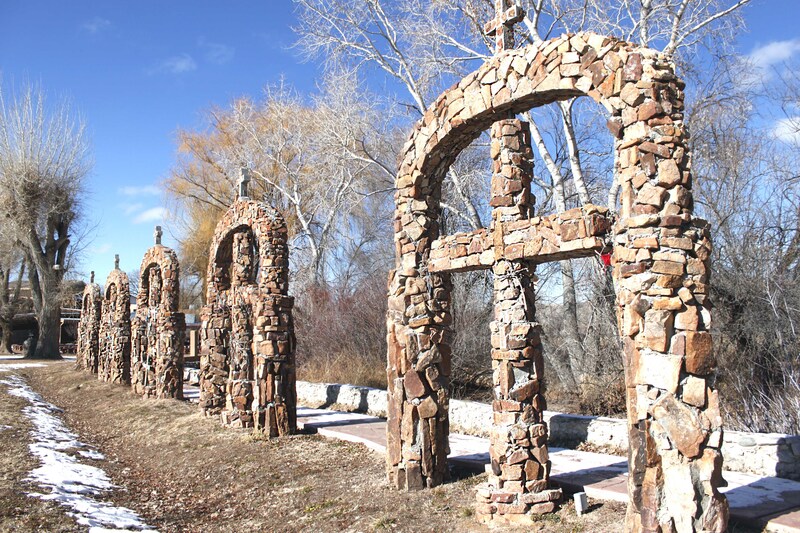 Located about 40 minutes (scenic highway drive) to Taos, Chimayo is perfect for skiers, wanting to escape the overpriced rates (in Taos) charged during ski season. Within minutes of nearby town Espanola, one can also play the slot machines for a few hours, at the small-ish but clean, casinos (we did, and it was fun). Three things highly rated on Trip Advisor for the town of Chimayo: Casa Escondida-a bed and breakfast we enjoyed on this short jaunt, Rancho de Chimayo Restaurante – a good Mexican restaurant with strong margaritas, which we partook, and El Sanctuario de Chimayo-a religious and sacred site for many. 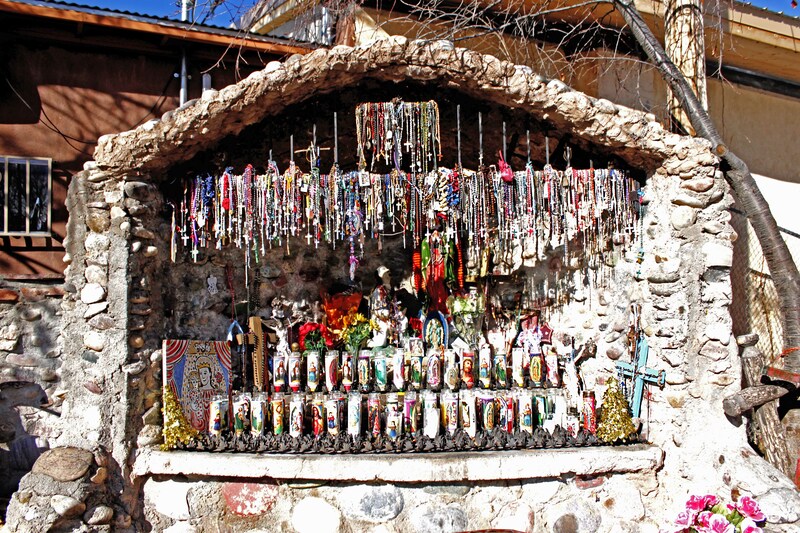 Sanctuario de Chimayo, a stone’s throw from the main road, is as lovely in mid-day as it is in evening hours. I am pleased I convinced my husband to do a drive by at night, as the grounds were lit with glowing Christmas luminaries (To potential travelers: I am unsure if there are luminaries throughout other seasons- but there definitely are during December holidays). During Easter weekend, many make a pilgrimage to this place of worship, as it is believed to be sacred, and has been a location of various “miraculous occurences”. Within the church, there is a little room off to the front side of the altar, containing yet another small room which houses a shallow pit supposedly filled with healing “holy dirt” for the general public to take. As a skeptic, I wonder, how does the shallow pit stay filled with “holy” dirt, but again, a healing is a miracle, and miracles can not be explained. To visit the lovely Sanctuario, the location is easy to find, however the parking situation is somewhat of a hassle. The spots to leave ones vehicle are few, and are also difficult to get to as the entrance to the lot is barely big enough for two cars to pass. Once in, you could probably spend about forty five minutes, walking the grounds surrounding the church, neighboring church, and just reflecting on the moment and peaceful scenery. As a traveler, I would definitely suggest visiting at least once, however once seen, I don’t believe a second trip is necessary. For trip advisor, I would rate the trip and experience with several good gold stars.